It's just five days to go until Glastonbury Festival opens it's gates to thousands of lucky ticket holders. Arguably the best festival in the world, Glastonbury has been a highlight of the summer since 1970. The first festival was held the day after Jimi Hendrix died and was just £1 a ticket (including free milk!). 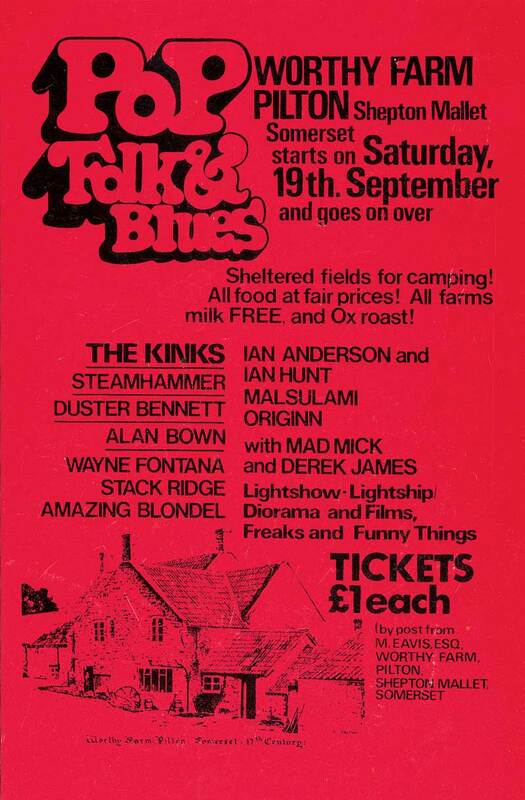 1,500 attendees saw the likes of the Kinks and "Mad Mick" perform on Michael Eavis' farm.